As the son of a local builder based in Barre Vermont, David was immersed in the construction industry from a very young age. As he got into high school he started designing houses for his family’s construction company and took several Tech-Ed classes offered at his school. He went on to earn his Associates Degree in Architecture & Building Engineering Technology at Vermont Technical College in 1988 and his Bachelor Degree of Architecture at Kansas State University in 1992. 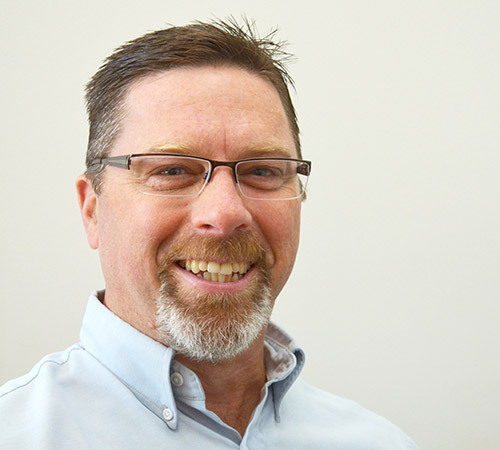 David then worked at a firm in Wichita Kansas until October 1994 when he moved back to Vermont and joined the team at Wiemann Lamphere Architects. Just seven years later he made partner and in 2014 he took over as President of the company. He and his brother, Vice President Steven Roy, represent the next generation of leaders at Wiemann Lamphere and have brought creative sustainable solutions to the forefront of the firm’s design philosophy. From their own Net-Zero homes to energy efficient municipality buildings, they are focused on the future of design and how the built environment affects us all.